Saw this cool little patch while browsing travel stuff on Amazon earlier. The words ‘Stoked On Life’ are stitched over a beach scene with orange setting sun and a massive blue wave. Ever since I can remember I’ve been a big fan of travel patches and whenever I’m out on a trip I like to pick up a patch or two representing the place I’m visiting. If I got together all my patches I could probably plot out my entire travel history. But when I’m waiting to go out on my next trip I’m more than happy to collect travel related patches to put on my stuff. 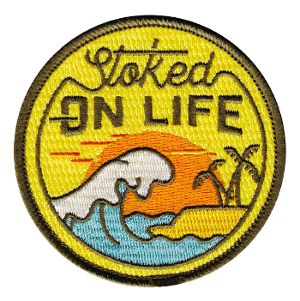 This Stoked On Life patch makes for a good travel mindset patch for me, as I’m always looking for the next big wave in life ;). 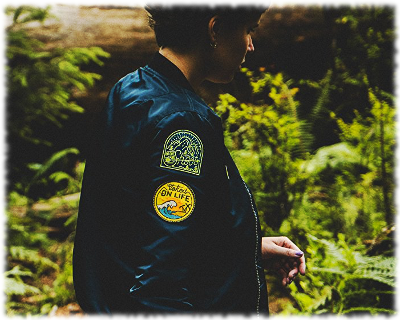 Looks like Asilda Store, the company that makes this patch, has a nice variety of travel patches available so stay tuned around here for more of these types of patches to come.